These are the stories—many heartbreaking but all heart lifting—of the pets we’ve loved and nursed through sickness and health. I would like to introduce Isabelle “Izzy” a 5 year old Black Lab/Pit mix. Several weeks ago we received an application for assistance joined with a heart-breaking letter from Izzy’s mom. She & her husband picked Izzy out of the litter before her eyes were even open and have been together since she was 8 weeks old. Izzy lost her dad in 2012 leaving them on their own. All was well until Izzy slipped, while playing with the grandchildren, tearing her ACL. The vet gave her pain meds in hopes to keep Izzy comfortable while waiting for a decision to be made on what to do about the injury. ACL surgery is incredibly expensive, leaving Izzy’s mom no choice but to consider putting her down. Luckily, Dr. Baier knew about Chance’s Dream Animal Rescue and suggested that she contact us before making any extreme decisions. I am happy to announce that we had the pleasure of helping this sweet girl receive a much needed ACL surgery. Her recovery is going very well and she will be back to playing with the grandchildren in a matter of weeks. Chance’s Dream would not have been able to help this family stay together without the generous donations received from our animal loving supporters. Please help us continue to provide this much needed assistance to our community. 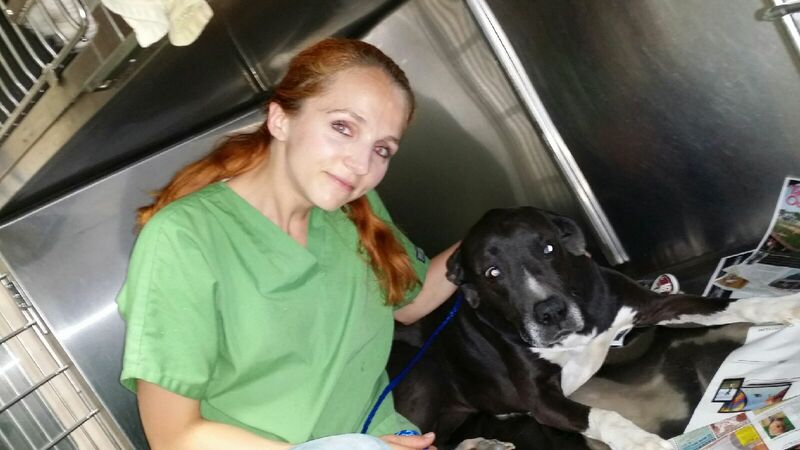 LEXI UPDATE: Good news and bad news to share with you regarding Lexi. The bad news is that Lexi’s mom was unable to keep her. They lost their home and could not find an affordable home that would allow a large dog. The good new, if you can call it that, is that Lexi was relinquished to Big Dogs Huge Paws where she will receive the ACL surgery she requires and be adopted to a new home. It is certainly not the outcome we were hoping for as our goal is to keep pet families together. Our thoughts and prayers go out to Lexi and her mom as they go forward with their new lives. We would like to introduce sweet Lexi, the first pet Chance’s Dream Animals Rescue was able to offer assistance. This precious pup had serious ear infections and mild lameness in her left back leg. Unfortunately, Lexi’s mom was battling breast cancer, so she was unable to work due to her treatments. Chance’s Dream was contacted by her vet regarding this loving family so desperate to stay together. 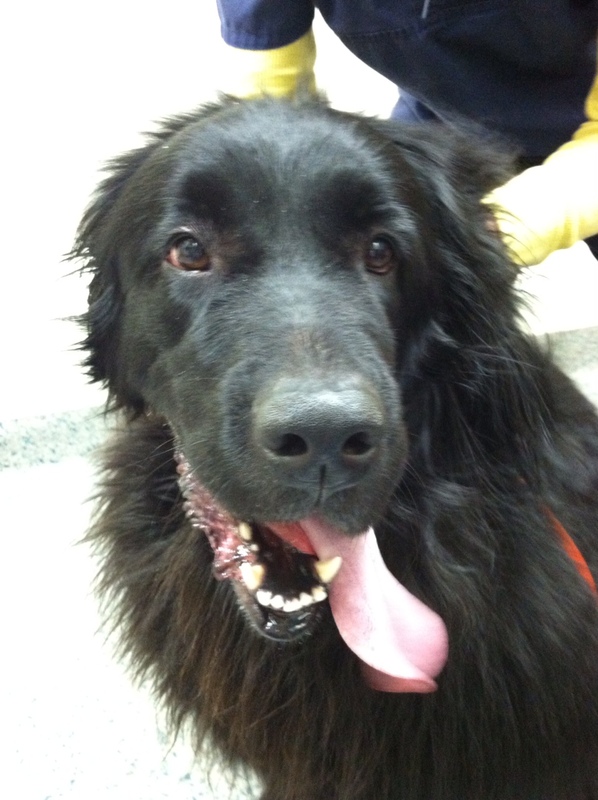 Thanks to the support of donors, Lexi was treated and sent home with the necessary medications. The hope was that Lexi could focus on giving her mom the love and comfort she needed while fighting her own battle, but life has thrown a wrench in Lexi’s healing. The mild lameness in Lexi’s back leg was due to a partial ACL tear. X-rays confirmed that her ACL is now completely torn, and she can’t walk on that leg. Lexi’s mom is trying to get back on her feet since her illness and cannot afford the cost of the surgery to repair Lexi’s ACL. This surgery would give back the quality of life Lexi so deserves. Chance’s Dream Animal Rescue was formed for the sole purpose to “help keep pet families together” but we’re such a new rescue that we just don’t have the funds to cover Lexi’s surgery. 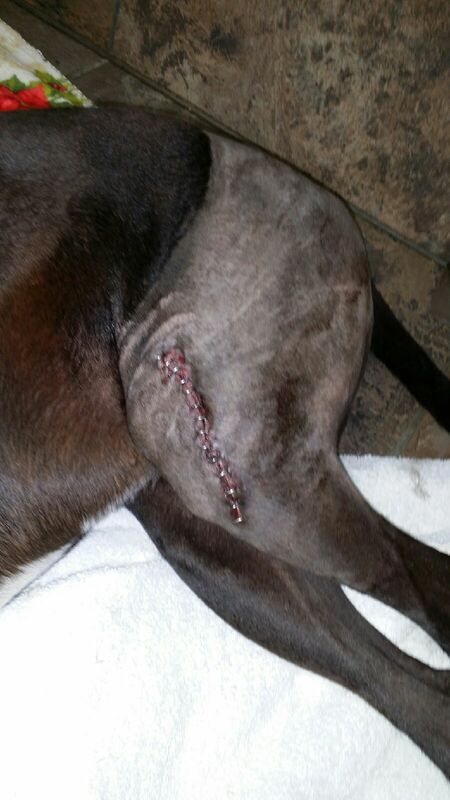 Any donations to help cover the cost of this surgery would be greatly appreciated. No amount is too small!